Tron Lightcycle Power Run Coming in 2021! Here’s the latest on Tron Lightcycle Power Run at WDW – plus the all the updates on news, weather, refurbishments and closings this week at Walt Disney World. Tron Lightcycle Power Run is coming in 2021! Image courtesy of Disney Parks Blog. There’s a lot to keep track of at WDW, whether you’re going this week or planning a future trip – we have everything you need to know – keep reading! New details have leaked about the new TRON Lightcycle Power Run. The newest, and most hyped attraction coming to Magic Kingdom, is set to begin construction this week with an anticipated opening date of late summer 2021. This will make the opening just in time for the huge 50th anniversary celebration in October of the same year. 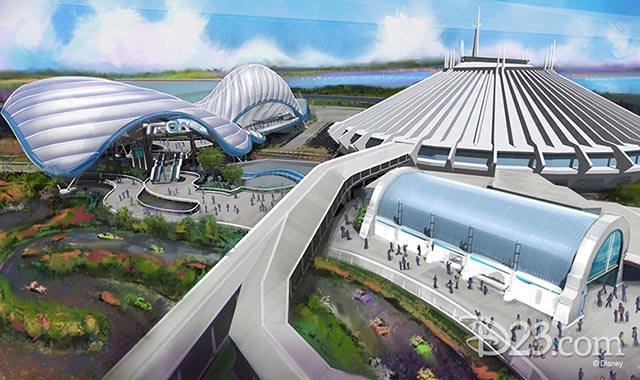 TRON will be built in a new area beside Space Mountain and will be an “E-ticket” attraction. Disney is bringing an “Incredible Summer” with new opportunities in all four theme parks this summer. In connection with “Incredibles 2” coming to theaters in June, Magic Kingdom is hosting a “SUPER” dance party as the Incredibles “take over Tomorrowland.” Epcot is bringing Guardians of the Galaxy to the stage at Epcot with Star-Lord, Gamora, and an alien band, which will feature music from the movie soundtracks. Disney’s Animal Kingdom is celebrating its 20th anniversary with two new events. “Explorers Meet UP! A Great Bird Adventure” will debut in the place of Flights of Wonder in Asia and Donald Duck will be featured in a new character celebration in Dinoland, U.S.A. Finally, at Disney’s Hollywood Studios, Toy Story Land is opening! 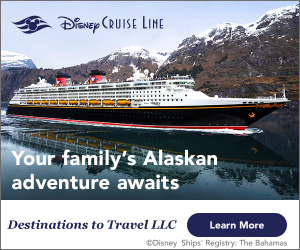 While there is no exact opening date yet (come on, Disney!) it’s definitely opening this summer! Your favorite amigos Jose and Panchito from “The Three Caballeros” have joined Discovery Island Carnivale at Disney’s Animal Kingdom. The fun and colorful dance party takes place nightly and you can see Jose and Panchito through May 5th. Now through February 10th there are many opportunities being offered throughout Magic Kingdom to celebrate the 65th anniversary of “Peter Pan.” First, don’t miss the meet and greet with Mr. Smee and Captain Hook! Nearby, you can have your photo taken with a Magic Shot of Peter’s shadow behind you. On the bridge next to Sleepy Hollow Refreshments there is a Tinker Bell Magic Shot you won’t want to miss! Liberty Square Riverboat is undergoing refurbishment until an undisclosed time. Yo ho! Pirates of the Caribbean will close from February 26th until March 18th. Cinderella’s Royal Table will close briefly from February 28th until March 2nd. The American Adventure in Epcot will be closed until early February. The Circle of Life in the Land Pavilion is closing on February 4th. Finding Nemo: The Musical will close on February 4th. The reopen date has not yet been announced. Kali River Rapids will be closed until February 10th. Flights of Wonder is now closed to make room for a new attraction opening this spring. Typhoon Lagoon will be under annual refurbishment from January 7th until March 18th. Portobello Country Italian Trattoria in Disney Springs remains closed until spring of 2018, when it will reopen as Terralina Crafted Italian. Disney’s Yacht Club Resort will have room and Convention Center refurbishments through early 2018. Disney’s Caribbean Beach Resort will be undergoing refurbishments until sometime in 2018. The renovations will close Old Port Royale Food Court, Shutters at Old Port Royale, Cabana Pool Bar and Calypso Trading Post. Other food options will be available during this time. Old Key West is in the middle of room refurbishments until late June 2018. Duck Pond Pool at All Star Movies will be under refurbishment until sometime this spring. Calypso Pool at All Star Music will be closed late February through early March. Big Blue Pool at Art of Animation will undergo refurbishment until a time to be determined. Bowling Pin Pool at Pop Century will be closed late February through May. Flippin’ Fins Pool at Art of Animation will be closed until early February. Cozy Cone Pool at Art of Animation will be closed from early to mid-February. Meadow Swimmin’ Pool at Fort Wilderness will undergo refurbishment until early February. Lava Pool at Polynesian Village Resort will be closed February 1st -28th. Copper Creek Springs Pool at Wilderness Lodge will be closed mid to late February. Toy Story Land is currently under construction at Disney’s Hollywood Studios with an expected opening of Summer 2018. Star Wars: Galaxy’s Edge is currently under construction at Disney’s Hollywood Studios with an expected opening in 2019. Don’t forget, closures are subject to change without notice. If you have your heart set on an attraction, be sure to check before you go. Also, check the parks for changes the day of your arrival. Are YOU going to be at WDW this week? Head over to our Facebook Page and give us your live report!